The trouble with the axioms that people often spout as substitutes for original thoughts is that they have an annoying habit of being true. Though so obvious as to seem ridiculous, it cannot be denied that every journey, great or small, begins with a single step—and not necessarily with a step in the right direction. Whether one’s destination is a physical location, a state of being, or a tangible accomplishment, progress is achieved by continually placing one foot ahead of the other, sometimes literally and sometimes figuratively. The distances from the piano in one’s childhood home to the stages of the world’s great concert halls can only superficially be measured in meters or miles. What cannot be quantified is the distance traversed in a musician’s artistic development, a continual voyage in which the only finite destination is failure. To succeed is to keep moving even when at rest: Art arises when the ordinary acquiesces to stasis. One of the most remarkable journeys in Western Music began in 1796 with the publication of Beethoven’s Opus 2 Piano Sonatas. In the three decades of life that remained to him after the introduction of these first three sonatas, Beethoven advanced music for solo piano from the progressive but quintessentially Classical forms inherited from Haydn and Mozart to the fully-fledged Romanticism of Schumann, Liszt, and Brahms. In the interim between the introduction of the Opus 2 Sonatas and his completion in 1822 of his thirty-second and final Sonata, the incredible Opus 111 Sonata in C minor, Beethoven altered the mechanics of writing for the piano in a manner that necessitated pianists’ reinvention of playing techniques. The intricacies of Haydn’s and Mozart’s works for piano were products of the polite drawing rooms of the Habsburg empire, but, as his career progressed, the focus of Beethoven’s composition of sonatas for piano migrated from aristocratic milieux to public concert halls. Not even in his nine symphonies did Beethoven traverse as much stylistic territory as in the Piano Sonatas, which collectively constitute a body of work for keyboard as significant as Bach’s Wohltemperirte Clavier. In the eight decades since Artur Schnabel first recorded a complete cycle, many pianists have documented their individual interpretations—or lack thereof—of the Beethoven Sonatas in live and studio recordings. Among these recordings are instances of uninflected playing, innumerable idiosyncrasies, and occasional intersections of technical prowess and interpretive insight. Notable in the company of discs of special merit are the first five volumes of MSR Classics’ A Beethoven Odyssey, of which this fifth volume is the latest—and in some ways the finest—installment. To state that this disc is superior to its four brethren is akin to saying that For Whom the Bell Tolls is a finer book than either Death in the Afternoon or The Sun Also Rises: preferring one does not diminish the value of the others. Played on a warm-toned Steinway instrument, the performances on this disc of four of Beethoven’s most experimental Piano Sonatas are superbly-executed steps that propel the listener along a legitimately Homeric journey. A Beethoven Odyssey shares with Schnabel’s 1930s recordings an unerring sensibility for recognizing each Sonata’s individual qualities and its unique contributions to the development of Beethoven’s pianistic artistry. Whether approached as the continuation of a wonderful series or as a stand-alone recording of a fascinating quartet of Beethoven’s early Piano Sonatas, Volume Five of A Beethoven Odyssey leads the listener on a marvelously fulfilling voyage of discovery. The personal odyssey of James Brawn began in England and has taken him to performance venues throughout the world via Australia and New Zealand. His direct connections with Claudio Arrau, Solomon Cutner, and Rudolf Serkin are audible in the fluidity of his playing of Beethoven’s music on this disc, his articulations of rapid passagework recalling Serkin’s nimble-wristed playing. It is to be hoped that any pianist who enjoys opportunities to record Beethoven sonatas in studio is capable of executing the scores with technical proficiency, but acumen of the level exhibited by Brawn cannot be taken for granted. Nevertheless, it is not mastery of the keys that captures the imagination in the performances on this disc. Only in his mid-forties, Brawn wields an interpretive maturity of which many pianists cannot boast even at the ends of their careers. A musician can learn how to meaningfully dissect and reassemble a piece, but the musical intuition that shaped Schnabel’s interpretations of Beethoven sonatas cannot be taught. Brawn plays the Sonatas on this disc from within: before his fingers press the keys, the music already flows inside of him. Each Sonata is therefore an excerpt from a larger narrative in progress, presented by Brawn with context drawn from rather than imposed upon Beethoven’s music. The three Sonatas of Beethoven’s Opus 10 were composed between 1796 and 1798, a volatile time during which the composer was in his late twenties. Having relocated to Vienna from his native Bonn half a decade earlier, Beethoven was greatly affected by the stormy political climate of the Austrian capital: in addition to the Opus 10 and other Piano Sonatas, the final four years of the Eighteenth Century witnessed work on his first half-dozen string quartets and Symphonies Nos. 1 and 2. The Allegro molto e con brio movement that introduces Sonata No. 5 in C minor (Opus 10, No. 1) is like a time capsule in which Beethoven buried components of his stylistic evolution for discovery by future generations of pianists. Already adventurous in his use of Classical sonata form, the composer exploited the full timbral spectrum of the instruments of his time. Brawn recreates the magic of Beethoven’s symphonic breadth of expression on the modern instrument at his disposal, phrasing with grandeur that never inhibits interpretive intimacy. The elegant Adagio molto is played with simplicity that allows its melodic development to flow organically to the movement’s ideally-managed cadence. Beethoven was a pioneering advocate of the metronome, but rhythmic rigidity is ruinous to performances of his music. Brawn’s playing of Sonata No. 5’s Prestissimo Finale is characterized by subtle rubato, not least in his realization of the thematic links to the familiar motif from the first movement of Beethoven’s Fifth Symphony. The opening Allegro movement of Sonata No. 6 in F major (Opus 10, No. 2) was conceived on a broad scale, its straightforward interplay of ideas engendering a rich vein of melody that Brawn taps with palpable feeling but an absolute lack of sentimentality. In his playing of Beethoven, Brawn consistently wins appreciation for displaying how much more touching the music can be when the listener is encouraged to contemplate the composer’s rather than the pianist’s emotional evocations. Eschewing tradition by substituting an Allegretto minuet for the expected slow inner movement, Beethoven established an atmosphere of uncomplicated contentment atypical of his work in general. Here, Brawn’s performance is mesmerizing: unafraid of figuratively loosening his tie and unbuttoning his collar, he plays the movement with the unaffected joy with which the young Beethoven might have played it for his own amusement. Brawn’s easy command of the contrapuntal writing in the recapitulation of the concluding Presto is thus all the more apparent. In this movement, the defining trait of the pianist’s artistry is concentration, his performance exuding the complete surrender to its spell required by the music. Sonata No. 7 in D major (Opus 10, No. 3) is the most expansive of the Opus 10 Sonatas, anticipating much of Beethoven’s later work in both mood and scale. The Presto with which the Sonata begins is almost Brucknerian in scope, its sonorities stretching the boundaries of what one expects from piano literature of the last decade of the Eighteenth Century. The immediacy of Brawn’s rendering of the music emphasizes its novelty: even played on a modern Steinway with particularly well-integrated tonal and dynamic compasses, the music sounds surprisingly daring. The D-minor Largo e mesto is devastatingly beautiful in the manner of the slow movements in Beethoven’s Violin Concerto and Fifth Piano Concerto, its subtly-contrived cantabile effects anticipating the sublime beauties of the late String Quartets. Brawn is too intelligent to overreach in his interpretation of this music, trusting the score to enchant without interference. Both the Menuetto and Trio and the valedictory Rondo are marked allegro, but Brawn highlights the contrasts between the two movements. There is still a measure of Rococo grace in the minuet, but the Rondo sheds formality in favor of the virtuosic exuberance of which Beethoven would become a prolific exponent. Brawn’s navigation of the bravado writing is predictably impressive, but it is again the guileless heart of his playing that brings the listener closer to Beethoven’s own spirit. Dating from 1798 – 1799, Sonata No. 10 in G major (Opus 14, No. 2) is a slightly later work, the companion of the E-major Sonata that Beethoven subsequently arranged for string quartet. Brahms, Mahler, and Britten rivaled Beethoven in artful manipulation of forms and functions, but the metamorphosis that sonata form undergoes in this compact piece has few equals in the piano canon. Brawn was wise to include this Sonata alongside its Opus 10 cousins: in this company, the radicalism of Beethoven’s invention in the tenth Sonata is complemented rather than contradicted by its recorded companions. The condensed energy of the Allegro springs from Brawn’s fingers, but his reading of the movement is one of total control. By maintaining rhythmic precision, he provides a stage upon which the music’s inherent variety dances excitingly. The pianist plays the tripartite variations on the Andante’s almost hymn-like theme with great resourcefulness, his phrasing accentuating the nuances of Beethoven’s cunning treatment of the principal subject. The unanticipated fortissimo chord that ends the movement is discharged with power and a suggestion of the wry humor that Beethoven surely intended it to impart. A rondo in disguise, the Allegro assai Scherzo is a whirlwind of harmonic hairpin turns and melodic dead ends. As diverting as Brawn’s playing of the fanciful notes is his instinctual handling of the pregnant pauses around which Beethoven constructed the movement. This is Beethoven at his most playful, and Brawn responds with effervescent charisma. In truth, though, all of his performances on this disc convey the irrepressible joy of his music making. Pianists inevitably long to add their personal impressions to the recorded legacy of Beethoven’s Piano Sonatas, and there are some among them whose singular concepts of this extraordinary body of work add new dimensions to listeners’ understanding and enjoyment of the Sonatas. Rarest of all the pianists who record the Sonatas are those whose endeavors are dedicated to amplifying Beethoven’s pianistic voice with the aid of their own distinctive voices. 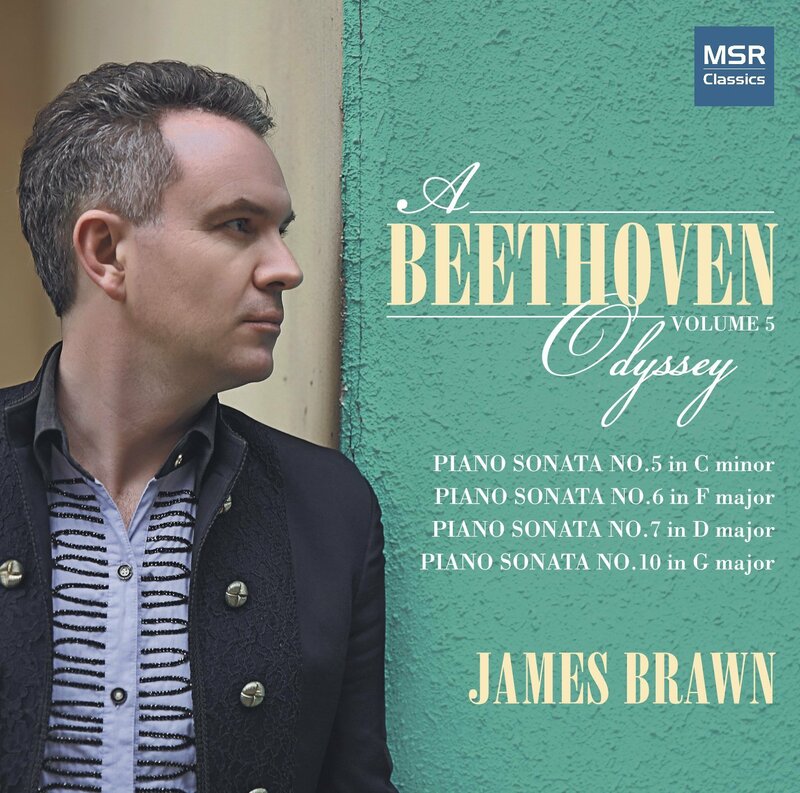 It is among these few pianists, the true followers of Schnabel, that James Brawn’s work places him, and this fifth volume of his Beethoven Odyssey makes the 190 years since Beethoven’s death seem like mere moments. These are James Brawn’s own interpretations, but it is not difficult to imagine Beethoven’s playing echoing in them. In a time before crowdsourcing became necessary merely to advance a recording project beyond initial planning, record labels promoted and supported the artists on their rosters, a notion that must seem to today’s singers as mythical as dragons and unicorns. In that gilded age, not so long ago, recordings of holiday-themed music were virtually rites of passage for significant artists. The making of such recordings was an act of pandering to the masses, of course, but a bit of such pandering has ever been critical to the survival of the Performing Arts. Moreover, the predilections of the masses are not always embarrassingly plebeian. Surveying the history of recorded holiday music, which earnest collector, regardless of his faith, would willingly part with Richard Tucker’s cantorial recordings or Leontyne Price’s rightly legendary recital of Christmas music with Herbert von Karajan and the Wiener Philharmoniker? Today’s lack of emphasis on preserving singers’ interpretations of holiday music old and new can likely be attributed equally to the financial challenges faced by Classical labels and the secularism prevalent in Twenty-First-Century society. Blame for the relative dearth of seasonal recordings by noteworthy artists of the current generation notwithstanding, the circumstances that yielded Hear the Angel Voices would be fortuitous in any era of recording history. Lifted in celebration of the Christmas season, the powerful voice of Virginia-born tenor Carl Tanner pours from this disc with inspiring candor. One of the few bonafide successors of Aureliano Pertile, Francesco Merli, Mario del Monaco, and Franco Corelli, Tanner is a Radamès and Calàf to the manner born who here leaves crooning to smaller voices and lesser artists. Even a generation ago, a disc of the quality of Hear the Angel Voices would have been heralded with full-page advertisements in pertinent publications and posters in brick-and-mortar music shops. Both the music industry and the way in which holidays are celebrated through music have changed, but great voices and great singing, rare as they are, remain comfortingly constant. The backing that Tanner receives on Hear the Angel Voices from the choristers of Northwest Boychoir and Northwest Sinfonia Choir, the musicians of Northwest Sinfonia, and brilliant conductor Steven Mercurio rivals the best work of better-known ensembles on classic recordings of holiday music. The singing of the youngsters of Northwest Boychoir merits comparison with the efforts of their counterparts in Tölz and Vienna, and their adult colleagues sing no less admirably. Mercurio wields an extraordinary talent for making music of any style or vintage sound newly minted, and he guides the orchestra in performances in which the players’ instruments seem to sing in tandem with the tenor’s voice. The traditional carols that constitute the heart of Hear the Angel Voices—‘Joy to the World,’ the beguiling Schubert melody of ‘Mille cherubini in coro’ (a piece much loved by Luciano Pavarotti), ‘Adeste Fideles,’ ‘Silent Night,’ and ‘The First Noel’—are sung not with the formality of the opera house but with the fervor of a family church. Tanner addresses his utterances to the Christ child and those assembled in rejoicing rather than to the back row of a grand auditorium or the casual record buyer. Acclaimed singers of every Fach include ‘O Holy Night,’ Adolphe Adam’s operatic ‘Cantique de Noël,’ in their holiday repertoires, but few of the most renowned among them sing the piece as well as Tanner sings it on this disc. In his performances of each of the selections included on Hear the Angel Voices, Tanner looks to the text for inspiration, focusing his interpretive choices on subtleties of the words. The grandeur of Adam’s music is an ideal vehicle for the tenor’s surging vocalism, but the lovely, more delicate ‘All is Well’ receives from him a reading no less eloquent. Tanner’s account of ‘Panis Angelicus’ from César Franck’s Opus 12 Mass, a setting of a text attributed to Saint Thomas Aquinas, returns to this frequently-heard number the atmosphere of reverence with which its composer originally imbued it. This singer has considerable vocal amplitude at his command, but nowhere on Hear the Angel Voices does he substitute volume for emotional directness when expressing exultation. Often credited to early Baroque composer Giulio Caccini, the first of the ‘Ave Maria’ settings included by Tanner on Hear the Angel Voices is actually the work of Twentieth-Century Russian composer Vladimir Vavilov. Joining a litany of accomplished artists who have recorded the piece, Tanner performs the song with an uplifting absence of affectation. The second ‘Ave Maria’ on the disc makes use of a melody woven by Charles Gounod into the gossamer textures of the C-major Prelude (BWV 846) from Book One of Johann Sebastian Bach’s Wohltemperirte Clavier, and Tanner follows the meandering vocal line with intensity that builds to an exhilarating climax. Unlike many singers, he never ignores the fact that Albert Hay Malotte’s dramatic treatment of ‘The Lord’s Prayer,’ almost an operatic scena, is a heartfelt plea for deliverance from man’s evils. Here, too, the momentum of Tanner’s performance is thrilling. Since it was first sung by Bing Crosby on his NBC radio show on 25 December 1941, Irving Berlin’s ‘White Christmas’ has become a staple of musical holiday celebrations throughout the world. In his voicing of the song, Tanner recaptures the wide-eyed wonder that Berlin felt as he composed the song during an unexpected California snowfall on New Year’s Day, 1940. The same sentimental authenticity emanates from Tanner’s voicing of ‘Little Drummer Boy,’ written for the Harry Simeone Chorale. Not to be confused with the number featured in A Charlie Brown Christmas, the song ‘Christmas Time is Here’ recorded by Tanner is the work of McLean, Virginia-based composer Katherine Chrishon. If the song was not crafted specially for Tanner, it might have been: his mastery of the demands of both music and text is authoritative. Adapted from the Intermezzo of the composer’s incidental music for Alphonse Daudet’s play L’Arlésienne, Georges Bizet’s ‘Agnus Dei’—a misnomer, really, as Bizet neither knew nor approved of the use of his tune—was first recorded in 1936 by Beniamino Gigli. Tanner’s traversal is laudably free of the bull-in-the-china-shop over-singing in which some tenors have indulged in this music, but there is nothing twee in Tanner’s approach. It is impossible to imagine Mel Tormé singing ‘Celeste Aida’ or ‘Nessun dorma,’ but Tanner sings Tormé’s signature holiday number ‘The Christmas Song’ delightfully, achieving complete comfort with the song on his own terms. 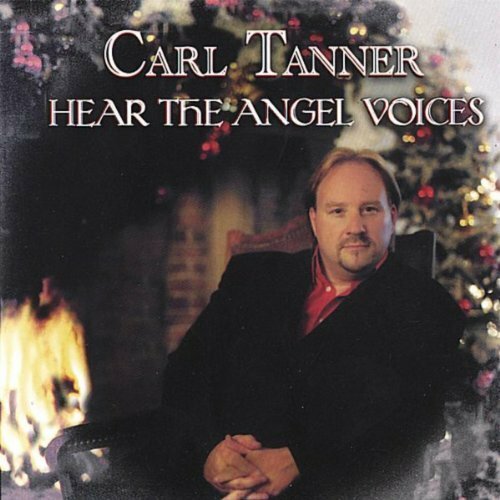 Throughout Hear the Angel Voices, Tanner is in excellent voice, his upper register projected with an audible ease atypical for larger instruments. His seriousness is no less than it would be were he recording music by Verdi or Puccini, but every song on this disc is placed within a context of jubilation and abiding faith. More than money and loyalty, perhaps what is most damagingly missing from today’s Performing Arts community is sincerity. When Richard Tucker recorded cantorial music, it was undoubtedly with the hope of selling records, but it was also with his experiences in the synagogues and Jewish congregations of metropolitan New York City filling his heart. Leontyne Price was surely pleased to earn a few dollars by recording ‘Sweet Little Jesus Boy,’ but who can question the legitimacy of the shame evinced by her singing of Christ’s humble birth? Like Tucker and Price, Carl Tanner is the steward of one of America’s important voices. With Hear the Angel Voices, he stands with them as one of America’s foremost voices of praise. It is regrettable that industry cynicism now deprives listeners of new recordings of holiday music by many of their favorite Classically-trained singers, but Hear the Angel Voices is all the more invaluable for being a lone light in a world darkened by greed. In their well-known song ‘Simple Gifts,’ the Shakers sing that ‘when we find ourselves in the place just right, ’twill be in the valley of love and delight.’ It is suggested that this ‘place just right’ is found via continual self-awareness and adjustment, turning one’s life to follow the meandering path of simplicity. This seems straightforward enough, but how complicated it is to be simple in the Twenty-First Century, when every variation of diversion—and perversion—is only a click, a swipe, or a verbal command away, not least in the season of tinsel and twinkling lights! Too often, the holidays give directors and opera companies excuses to commit and perpetuate artistic atrocities like the plethora of confection-laden, stupidly saccharine performances of Engelbert Humperdinck’s Hänsel und Gretel. There are the heartless Nutcrackers and the progressions of Messiahs so dispiriting that the most ardent admirer of the music thinks that affection misplaced. Like so many aspects of contemporary life, the Arts have largely abandoned the contemplativeness of the holidays in pursuit of the coffers-filling commercialism, embracing the tinkles of coins in the till and ignoring the dormant wonder in the eyes of awed, challenged audiences. That The Dallas Opera upended this trend is surprising to no one familiar with the company’s initiatives and the integrity with which they are enacted, but the success of TDO’s world première of composer Mark Adamo’s Becoming Santa Claus must have stunned those for whom the holidays are defined by reluctant meetings with family, hours spent in queues in shopping malls, and meals with more calories than flavor. Like Humperdinck’s Hänsel und Gretel, in which there are themes far darker than those explored in many productions, Becoming Santa Claus is not a pièce d’occasion to be performed only when the jingling of sleigh bells perforates the air. No, Becoming Santa Claus is not a festively-attired Ring des Nibelungen in which a department-store St. Nicholas and painted-snow North Pole stand in for Wotan and Walhalla, but Adamo produced a score in which the quest for individual purpose that is the soul of the story forms the foundation of the music’s structure. The development of thematic material in the music complements the interplay of ideas in the text, the musicality of the composer’s libretto meticulously matched with the poetry of his music. To listeners acquainted with Twenty-First-Century opera, the suggestion that a score is accessible to audiences lacking a high tolerance for tuneless droning implies an accusation of banality, but Adamo’s easily-absorbed idiom is sophisticated without demanding that the listener possess an above-average appetite for musical modernity. Both the vocal writing and the orchestrations in Becoming Santa Claus exude ingenuity, but the score’s complexities never mask the opera’s inherent simplicity. The operas of too few contemporary composers exhibit genuine affinity for writing for voices, and one of the greatest accomplishments of Becoming Santa Claus is the adroitness of Adamo’s vocal craftsmanship. Even when dizzyingly difficult, the angular vocal lines are singable and memorable—the hallmarks of effective opera whether composed by Mozart, Verdi, Gounod, Wagner, or Adamo. In the world-première production preserved on this release, Adamo’s music and words burst into life in The Dallas Opera’s magnificent Winspear Opera House. Stage director and choreographer Paul Curran creates a world in which space is used with exactitude, his movements intrepidly danced by Kym Cartwright, Caradee Cline, Jason Fowler, Matt Holmes, Tom Klips, and Elise Lavallee. The claustrophobia of the opera’s critical emotional conflicts is made all the more gripping by the expansiveness of Curran’s direction, the principals’ individual isolation contrasting tellingly with the lavish brilliance of Gary McCann’s set and costume designs, evocatively illuminated by Paul Hackenmueller’s lighting. 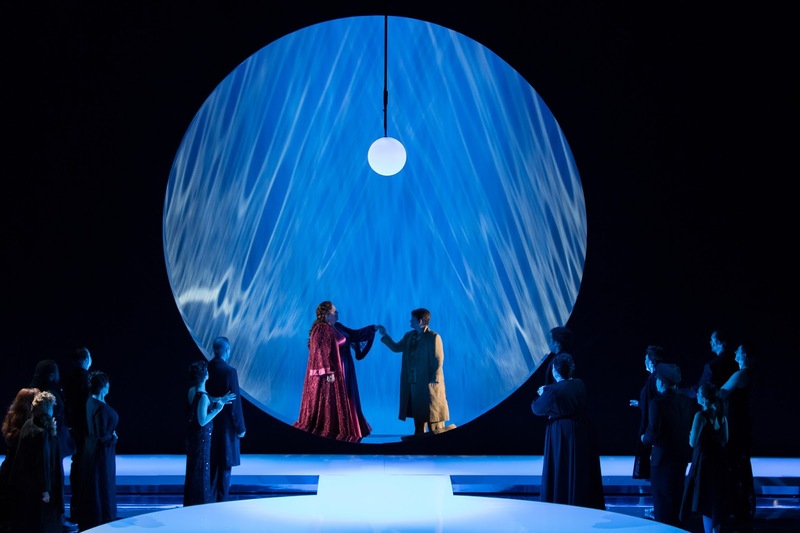 The magical transformation of the Winspear stage into a bustling environment in which the significance of moments of profound stillness is apparent is completed by Driscoll Otto’s imaginative projections. David Zimmerman’s wig and makeup designs balance creative uses of the singers as canvases upon which to paint portraits of the characters with practicality that minimizes impediments to motion and vocalism. Above all, the artisans assembled by TDO provided this inaugural production of Becoming Santa Claus with a pervasive atmosphere of open-hearted amazement that fosters the audience’s surrender to the nuances of the opera’s narrative. Under the musical management of TDO Music Director Emmanuel Villaume, the performance of Becoming Santa Claus on this DVD is an inspiring and never coldly didactic traversal of a score that, as Händel said of his Messiah, was clearly intended to both entertain and enlighten. It is not a score without room for improvement: a few passages, especially those featuring the quartet of elves, could benefit from writing dedicated more to clear articulation of text—a few less words of which would perhaps also prove more effective—than to exploitation of the extremes of the singers’ ranges, and the opera’s dramatic momentum stalls in the final scene. 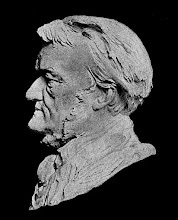 A noted master of the operatic repertoire of his native France [following his début on the podium for Puccini’s Madama Butterfly in the 2004 - 2005 Season, Villaume’s engagements at The Metropolitan Opera have included performances of Gounod’s Roméo et Juliette, Bizet’s Carmen, Saint-Saëns’s Samson et Dalila, and Massenet’s Manon and Thaïs], Villaume responds to the impressionistic aspects of Adamo’s shimmering tonalism with the same intelligence and energy that guided his leadership of TDO’s 1998 production of Gounod’s Faust. The virtuosic handling of Adamo’s music by TDO’s Orchestra is particularly apparent in Kirk Severtson’s and Brian Bentley’s respective playing of the celesta and harpsichord, the latter tuned a quarter-tone flat at the composer’s instruction, but all of the TDO musicians maintain a high level of achievement in their executions of their parts. The young ringers of the First United Methodist Church of Dallas Children’s Handbell Choir perform their task with charm. Collaborating with manifest camaraderie, TDO’s musical forces successfully recreate in sound the visual allure of the production. Soprano Hila Plitmann as Yan, mezzo-soprano Lucy Schaufer as Ib, tenor Keith Jameson as Yab, and bass Kevin Burdette as Ob fearlessly deliver Adamo’s demanding music for the elves, their complete commitment to their rôles heightening the consequence of parts that might all too easily devolve into a collective cliché. Plitmann’s upper register emerges unscathed from the gauntlet of Adamo’s stratospheric writing, and Schaufer sings and acts with unerring musical and dramatic instincts. Yab’s and Ob’s music does not provide Jameson and Burdette with opportunities to reveal the finest elements of their considerable artistries, but their voices shine individually and in ensemble. The presence in the dramatis personæ of Becoming Santa Claus of a singing messenger in the form of a donkey raises the specter of an operatic Shrek, but fears of that haunting are alleviated by the spiritedly human performance of the rôle by bass Matt Boehler. Like his colleagues in elven guise, Boehler faces music that tests his powers of intonational accuracy and projection across a broad compass. The part’s low center of vocal gravity is not ideal for Boehler, but the singer’s unflappable musicality and theatrical savvy triumph. Wholly avoiding barking and braying, Boehler utters his character’s messages with vitality and evenly-produced tone. Mezzo-soprano Jennifer Rivera brings to the rôle of Queen Sophine, Prince Claus’s mother and the figurehead of an oppressive social order, a well-trained, artfully-refined technique and credentials including acclaimed interpretations of an array of rôles in various styles. Imperious and imposing in this performance, she portrays Sophine as a flawed woman and a failing parent, a mother whose relationship with her child is affected by the shallowness of her own self-cognizance. The scion of an absent family, Sophine is the bridge between Claus and the duty to which he is bound, and she takes her responsibility as that link very seriously, to the detriment of her own identity. 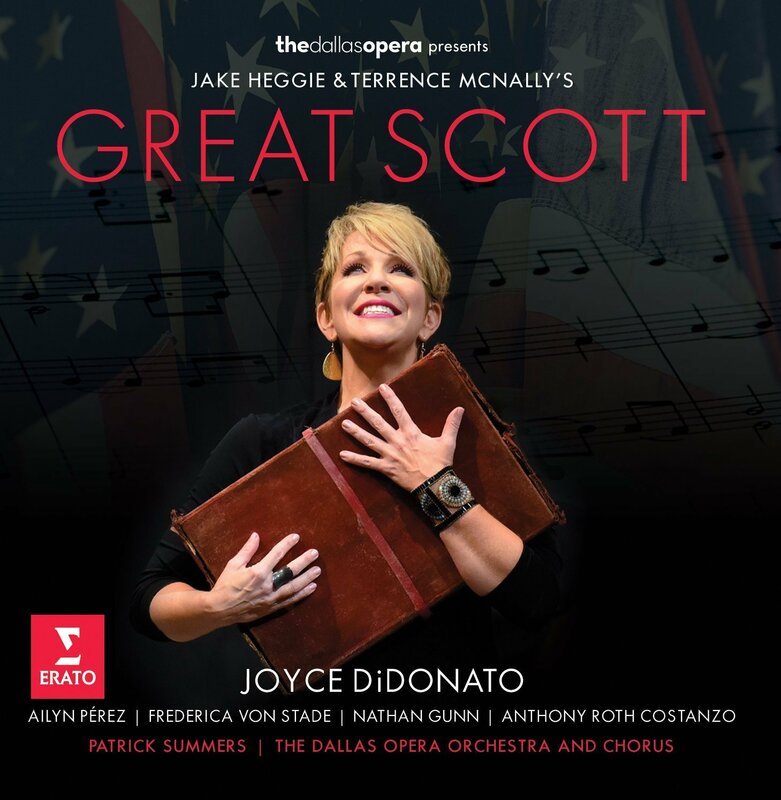 Of unmistakable importance is Adamo’s sympathetic music for the character, however: as in Verdi’s Rigoletto and Il trovatore, the struggling parent captured the composer’s heart. In Rivera’s performance, Sophine earns the observer’s affection, too. The chill of the queen’s persona is warmed by Rivera’s confidently beautiful singing, and her regal glamor gives way to a touching honesty, not as a near-miraculous metamorphosis but as total recognition of the maternal tenderness that defines her. Rivera reveals that the Sophine who terrorizes her court is a façade: beyond the insatiable pursuit of outward perfection is an overwhelmed, vulnerable woman grappling with the demands of raising a pubescent son. At the core of TDO’s production of Becoming Santa Claus is boyishly handsome tenor Jonathan Blalock, whose portrayal of the adolescent Prince Claus is an understated tour de force. 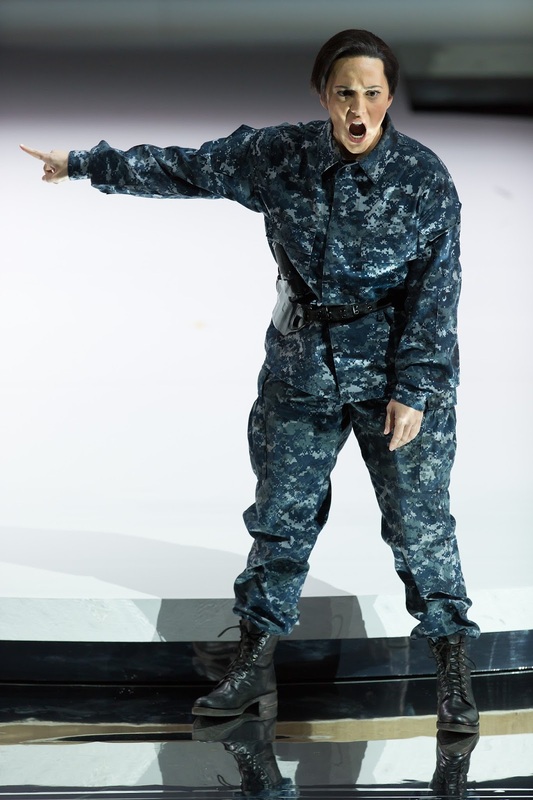 Vocally, the demands of the part are met with assurance, not least in the frequent flights above the stave, and Blalock enlivens Claus’s music with the same technical acumen that he deploys in Rossini’s writing for Conte Almaviva and Don Ramiro. 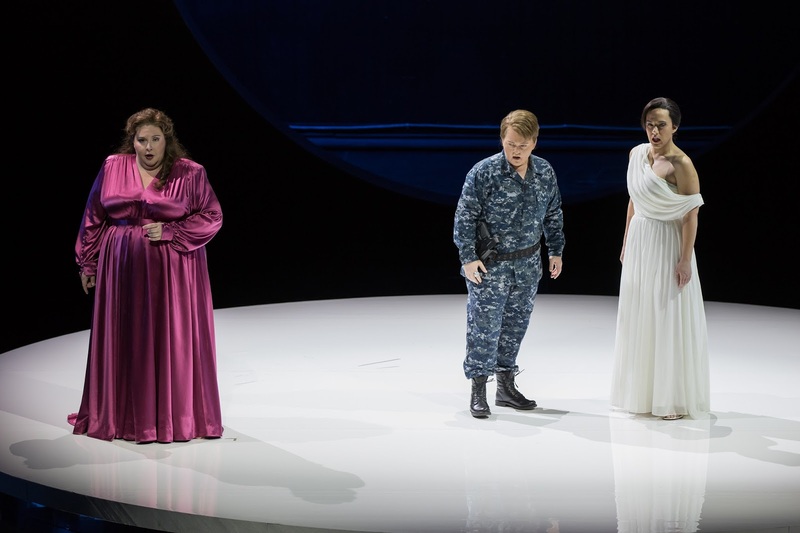 Though he was an eleventh-hour replacement in this production, Blalock embodies his rôle with a naturalness that belies the opera’s fantastical concept. His Claus is the boy becoming Santa Claus, of course, but he is also a boy on the precipice of manhood, a relative of Saint-Exupéry’s petit prince who must find his own way of surviving in the world into which he was born. Endearingly convincing as a boy of thirteen, Blalock depicts Claus’s maturation as a palpable, sometimes painful transition. Even the timbre of his voice seems to undergo a shift from the bright patina of his early scenes to the burnished richness of the opera’s final quarter-hour. The character’s evolution from petulant selfishness to existential awareness is powerfully conveyed. 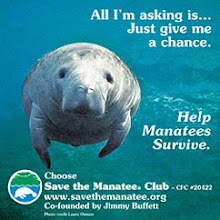 Nevertheless, this is opera, and it is the voice that matters most. Blalock invigorates Claus with a voice kissed by starlight, here placed at the service of a characterization that is at once subtly perceptive and resoundingly uncomplicated. Enjoyable as they can be, the world little needs new holiday spectacles of the Dickens and Disney varieties. The holidays should be a time of reflection, not of distraction, but bright lights and garish displays are more comfortably scrutinized than internal shadows. Without eschewing the technicolor pageantry of the season, Mark Adamo’s Becoming Santa Claus is essentially a very straightforward story. A boy destined to become a man of worldwide prominence must first grow into a man capable of understanding why the part that he plays is relevant. 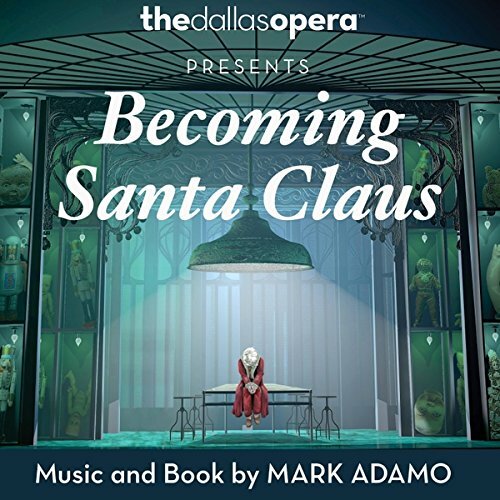 Presenting Adamo’s score with flair, finesse, and an omnipresent belief in the viability of modern opera, The Dallas Opera’s production of Becoming Santa Claus movingly affirms that, even for the most famous bringer of holiday joy, it is indeed a gift to be simple. There is an inherent irony in the concept of verismo that not even the most ardent opera lover can deny. However powerfully it can manipulate listeners’ emotions, opera is not truly realistic: whether the music at hand is the sparse arioso of Monteverdi or the lush melodic effusion of Richard Strauss, ordinary people do not course through their daily lives in progressions of recitatives, arias, and ensembles. 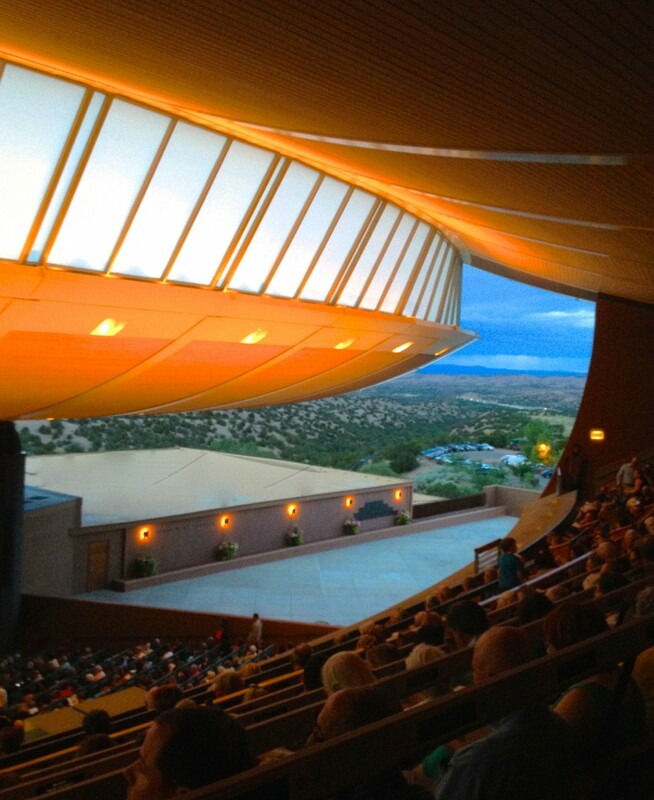 Still, there is a magnetism in opera that can only be attributed to connections among music, the artists who perform it, and the audiences who hear it. The international career of Romanian soprano Angela Gheorghiu was catapulted from great promise to established stardom by such a connection: making her rôle début as Violetta in Giuseppe Verdi’s La traviata at London’s Royal Opera House in a 1994 production conducted by Sir Georg Solti, the young singer from Adjud refined the connection between Verdi’s suffering heroine and modern listeners. On stage and on disc, Gheorghiu has subsequently drawn audiences closer to music spanning a wide repertory. From the time of her Metropolitan Opera début as Mimì in La bohème on 4 December 1993 [her Musetta on that auspicious evening was Carol Neblett (1946 – 2017), to whose memory this review is dedicated] , the music of Puccini has figured prominently in Gheorghiu’s career, but the works of Puccini’s contemporaries have remained little-explored territory. With Eternamente, this long-anticipated Warner Classics release, Gheorghiu extends the mastery of her characterizations of Violetta and Mimì to the tempestuous heroines of verismo. Some degree of suspension of disbelief is perhaps required to take the passions of the music on this disc at face value, but appreciation of Gheorghiu’s singing, here wholly dedicated to the music’s dramatic impulses, requires no compromises. Expertly supported by stylish playing by the PKF – Prague Philharmonia and idiomatic, mostly sympathetic conducting by Emmanuel Villaume, Gheorghiu is rightly the central focus of every selection on the disc, grasping the histrionic reigns with the authority of an operatic Sarah Bernhardt. Whether by circumstance, design, or a blend thereof, there is a vein of roughness in the soprano’s vocalism on this disc that lends urgency to her performances of these demanding pieces. Villaume is most effective when highlighting the lyricism that lurks in much of the music, but he is too savvy a musician to linger over moments of repose at the expense of momentum. He and Gheorghiu occasionally seem to disagree about the punctuation of musical paragraphs, perhaps a result of multiple takes in the recording process, but their collaboration benefits from these differences: in moments of discord, the antiseptic polish of the recording studio is overwhelmed by the thrillingly pungent aroma of theatrical greasepaint. Eternamente’s opening sequence offers three excerpts from Pietro Mascagni’s Cavalleria rusticana, the score cited by many musicologists as the foundation upon which verismo was built. Prefaced by the Prague Philharmonic Choir’s glorious performance of the ‘Regina cœli,’ both immaculate of ensemble and wholly credible as the en masse effusion of a volatile Sicilian community, Gheorghiu’s account of Santuzza’s ‘Voi lo sapete, o mamma’ is equally defeated and defiant, the character exasperated and exhausted by her predicament. The tessitura of Santuzza’s music is not altogether comfortable for Gheorghiu, but she holds nothing back in her traversal of the romanza, launching the top As with abandon. Those who supervised the making and release of this disc are to be praised for the candid disclosure of the fact that Gheorghiu’s and Maltese tenor Joseph Calleja’s vocals were not recorded in the same place or at the same time, a reality that in the cases of many other recordings has not been disclosed, however audible it may be. On the whole, there are few signs of Calleja’s contributions having been recorded separately and electronically melded with Gheorghiu’s singing in their performance of the exhilarating duet for Santuzza and Turiddu. Amazement resounds in Calleja’s voicing of ‘Tu qui, Santuzza,’ answered by the growing desperation evinced by Gheorghiu’s delivery of Santuzza’s lines. 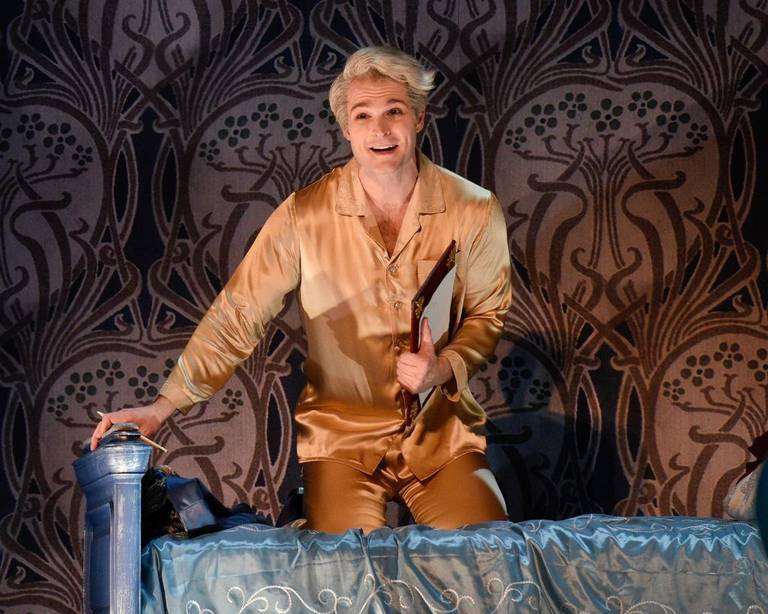 Calleja’s timbre and vocal amplitude are light for Turiddu, but the tenor capitalizes on the advantages of studio recording, successfully animating the character without forcing the voice. 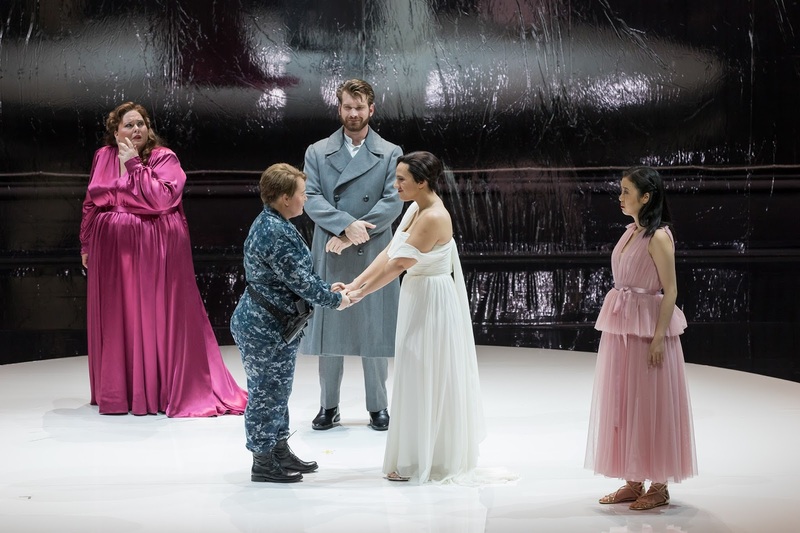 Even without the benefit of face-to-face interaction, Gheorghiu and Calleja compellingly enact the parlous contest between the ill-fated lovers. Mascagni quipped that, the widespread popularity of Cavalleria rusticana having overshadowed his later, arguably better work, he was crowned before he was king. Though the progress of his own career was quite different from that of his colleague’s, Ruggero Leoncavallo might have expressed similar sentiments about the shadow cast by the popularity of his Pagliacci over the other high-quality scores that he produced. It is its rivalry with Puccini’s better-known setting that has prompted occasional interest in Leoncavallo’s La bohème during the past century, but Leoncavallo’s opera is both in some ways the more faithful adaptation of Henri Murger’s Scènes de la vie de la bohème and a beautifully-crafted, touching work in its own right. Her singing of ‘Ed ora conoscetela’ on this disc imparts that Gheorghiu might prove to be an unusually persuasive advocate for Leoncavallo’s Mimì. The character’s resilience is apparent in this performance of her music, the singer’s sable timbre lending Mimì the world-weary grandeur of a Slavic heroine. 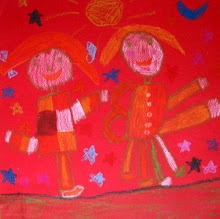 Fleana’s ‘Tagliami! Abbruciami!’ from Leoncavallo’s seldom-performed Zingari also proves to be a good fit for Gheorghiu’s vocal estate: though the voice is no longer as pliant as it was when she charmed audiences as Adina in Donizetti’s L’elisir d’amore, the darker colorations now at the singer’s command are employed with sagacity in these performances of Leoncavallo’s music. The name part in Tosca and Magda in La rondine are Puccini rôles with which Gheorghiu is thoroughly acquainted, but she approaches these ladies’ arias that are included on Eternamente with laudable spontaneity. She sings Tosca’s ‘Vissi d’arte, vissi d’amore’ fervently, her phrasing and ascent to the top B♭ confident and even coarse, intimating that the proximity of a man such as Scarpia taints her noble sentiments with vulgarity. Magda’s ‘Parigi! È la città dei desideri’ is delivered with special sensitivity, the nuances of the character’s dramatic profile clearly of personal significance to Gheorghiu. 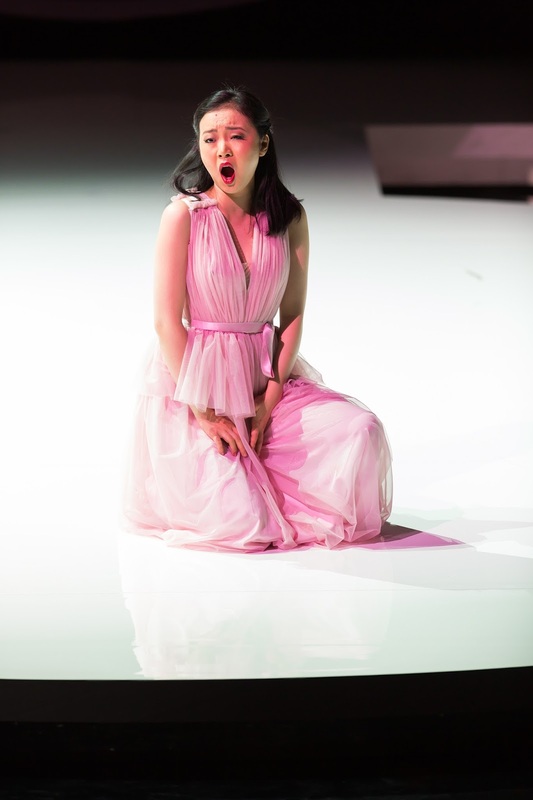 In both of these selections, the soprano exposes the dualities of the women she briefly portrays, delicacy and determination competing for dominance. The exquisite ‘Spunta l’aurora pallida’ from Arrigo Boito’s Mefistofele is forthrightly sung by Gheorghiu, her focused articulations of Margherita’s exhortations complemented by renowned bass Richard Novák’s impactful enunciation of the title character’s lines and more fine work by the Prague Philharmonic choristers. In Gheorghiu’s traversal of Stephana’s ‘No! se un pensier tortura’ from Umberto Giordano’s Siberia, the spirit of Rosina Storchio, the first Stephana, seems close at hand: Gheorghiu’s instinct for emoting through music is nowhere more skillfully deployed than in this music, in her performance of which suggestions of effort are transformed into expressions of the character’s complex, shifting emotions. Notes above the stave now require more calculated approaches than in past, but Gheorghiu artfully fuses vocal caution with dramatic abandon. Calleja is heard again—and again with total enjoyment—in the title character’s duet with Maddalena from Act Four of Giordano’s Andrea Chénier, ‘Vicino a te s’acqueta.’ Here, the effects of the voices having been recorded separately are more noticeable. Ecstatically greeting death with negotiations of punishing tessitura in tandem is more dependent than hurling insults upon precision of ensemble, and a marginal lack of frisson is perceptible. Nevertheless, this is high-octane singing by shrewd, stylish artists, and the spirit of the scene is emphatically imparted. Several of the most intriguing minutes of Eternamente are devoted to a performance of the title character’s Shakespearean monologue ‘Suicidio! In questi fieri momenti’ from Act Four of Amilcare Ponchielli’s La gioconda. As in the music from Tosca and, to a slightly lesser extent, Andrea Chénier, the principal standard by which Gheorghiu’s navigation of the music is measured is Callas’s handling of the scene. In this context, however, the models that the Romanian soprano’s singing most readily brings to mind are those of Anita Corridori and Milka Stojanović, both uncommonly effective interpreters of Gioconda. Gheorghiu shares with Corridori a bluntness of attack that lends her portrayal raw power, but, like Stojanović, she rounds the sharp edges of her characterization with a tempering dose of decency. Musically, Gheorghiu traverses the scene with less effort than some very memorable Giocondas have expended, but this is a discernibly studio-bound reading, ever admirable but never remarkable. The products of the excursions of masters of verismo into the realm of Art Song are infrequent destinations in singers’ recital journeys, making the inclusion of three songs, all performed here using tasteful orchestrations by Andrea Tudor, a notable novelty. Stefano Donaudy’s ‘O del mio amato ben’ is the vehicle for some of Gheorghiu’s most sincere and attractive singing on this disc, the melodic line spun with elegant phrasing and handsome tone. Though he is little remembered today, the ordained priest Refice scored a tremendous success with his opera Cecilia, premièred in Rome in 1934 with Claudia Muzio in the title rôle. It was whilst supervising rehearsals for a production of the opera mounted for Renata Tebaldi two decades later in Rio de Janeiro that Refice died, and Cecilia was later espoused by another celebrated mistress of verismo, Renata Scotto. Were she ever to have an opportunity to sing the title rôle in full, Gheorghiu would surely be a worthy heiress to the Cecilia mantle of Muzio, Tebaldi, and Scotto, and she here establishes herself as a puissant advocate for the composer’s music with her refined, reflective voicing of Refice’s song ‘Ombra di nube.’ It is from Angelo Mascheroni’s ‘Eternamente’ that this release takes its name, and Gheorghiu’s singing of the piece exudes an aura of heightened emotional engagement, aptly melodramatic but unexaggerated. 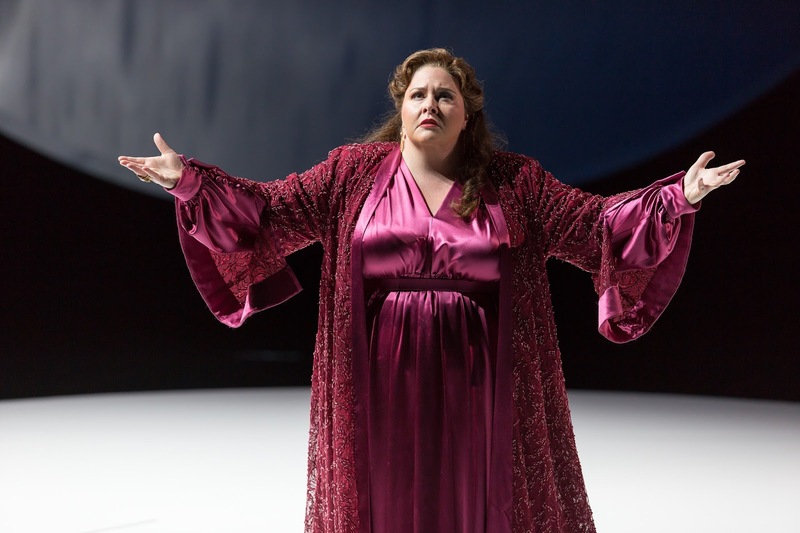 Using the text as her blueprint, she builds an impressive musical edifice on the proper scale, the slow simmer of the vocal line brought to a boil by the soprano’s performance. The singing of Lieder has not been a cornerstone of Gheorghiu’s career to date, but her accounts of the songs on Eternamente are evidence of the broad compass of her interpretive gifts. Some of the sopranos for whom Puccini, Leoncavallo, Mascagni, Giordano, and their contemporaries wrote music were among the most renowned operatic personalities of the late Nineteenth and early Twentieth Centuries, and Angela Gheorghiu is unquestionably one of their best-qualified successors. The foremost practitioner of authentic verismo, the Italian soprano Magda Olivero, once remarked that ‘if one just sings, without putting in any heart or soul, it remains just beautiful singing, and not a soul that sings.’ The heart and soul of which Olivero spoke are the qualities that separate a true prima donna from the altre donne. They are also the qualities that have defined Angela Gheorghiu’s career. With Eternamente, she expands both her own and listeners’ sensibilities by venturing into neglected niches of verismo repertory. Propelled by an artist of Gheorghiu’s abilities, might not overlooked verismo scores prove just as deserving of rediscovery as the bevies of Baroque and bel canto works revived in recent years?